How many times do we hear this in our daily lives? Many of us have chosen our careers at least in part to avoid having to sell. I bet that many law students thought they’d never again need to be in a position to sell something. Then they became litigators. Whether you believe it or not, as a litigator your whole essence is to sell. But no: You believe that selling is manipulative, annoying, and even boring. Think of Steve Jobs. Whenever Jobs stood up at an internal meeting, interview, or software release event, he was passionate and had a story to tell. He believed that to be truly successful, you must be able to sell. Selling – one might simply call it persuasion -- is not just for salespeople and their prospects. Heck, he started the idea of selling while not selling as seen in his innovative ad from 1997, “The Crazy Ones.” Here is the rare unaired version read by him. 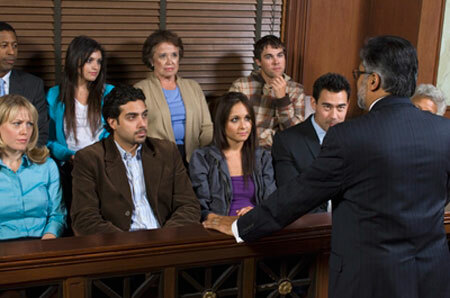 As a litigator, at some point you will find yourself in the position of having to persuade someone. You may try to persuade a judge to agree with your logic and reasoning, or perhaps you want to persuade a partner to take on your brilliant idea. Often the most effective persuaders are your kids. Somehow they come by it naturally while you, the adult, have to work hard to find the persuasive path to success. One litigator I was talking with gave me a very enlightening answer when I asked why he got into this career. His answer was direct and to the point, “Why? Winning, of course. The fierce battle, the fact that litigation is intensely complicated, and there is a winner and a loser.” Every successful litigator has this type of drive. To truly become a skilled persuader, you need to understand your power and to use it sparingly and knowingly. Not every conversation is an opportunity to convince a person. The more aggressive you are, the more you will put most people on the defensive. Pick your battles. People who know how to persuade know that just being able to articulate your position in a convincing way is only half the equation. Truly persuasive people are actively listening when in “persuasion” mode. Listen to see how receptive the other person is to your point of view. Listen for specific objections that need to be resolved. Listen for moments of agreement to capitalize on consensus. You already know what you are saying. You can't persuade effectively if you don't know the other side of the argument. It's easy to dismiss people who are trying to persuade you if you have no emotional stake in them or their argument. Look for common ground to help establish emotional bonds and shared objectives, show empathy for their position, manage your impatience and wait for them to give you permission to advocate your approach. When you are persuading people, reinforce their credibility on facts and opinions rather than dismissing them outright. Then they'll be more likely to pay you equal respect in the exchange and be more open to the merits of your opposing view. Find the easiest path to yes. Give ground where you can and hold your ground only where it matters. Great persuaders know it’s the story and the journey. They love storytelling and persuasion. They give the other person the space and time to carefully consider their position. Allow the person to come to the same conclusion, show the person the path and the answer, but let the person find it on his or her own time. Nothing is more powerful than for someone to persuade himself or herself. That almost never occurs when the other person is present. Free E-Book: Storytelling for Litigators E-Book 3rd Ed.